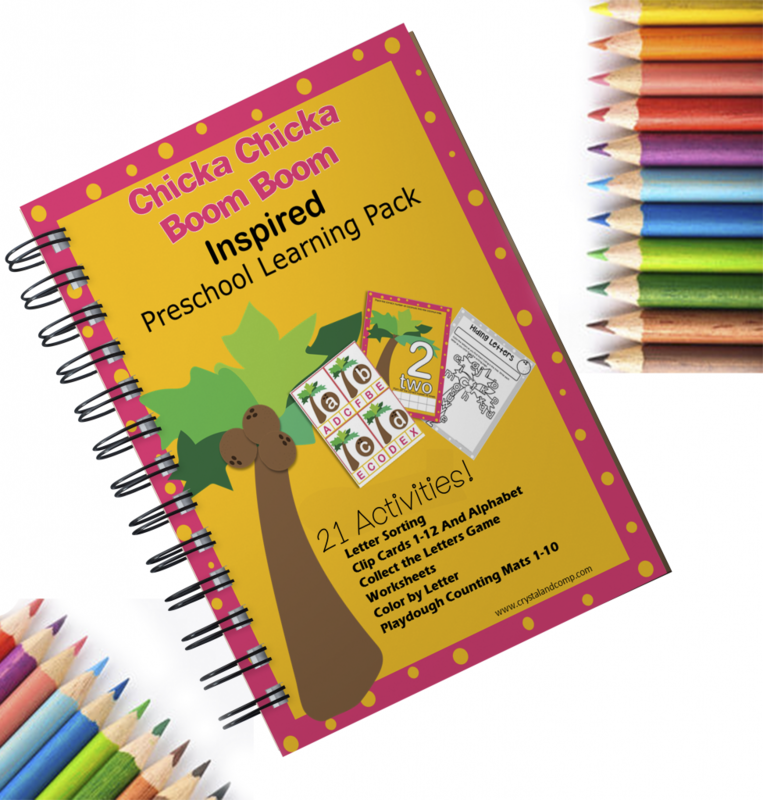 If you homeschool, have little ones at home that love to practice writing or you’re just wanting to supplement your child’s public school education, we have created the perfect printable for you! 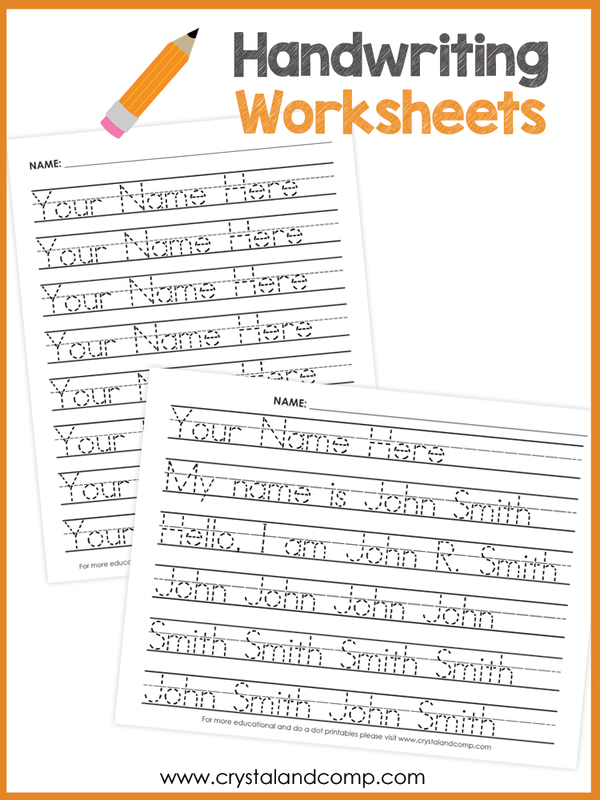 I am a huge fan of handwriting practice worksheets for kids. We love downloading them as we learn and study the alphabet. 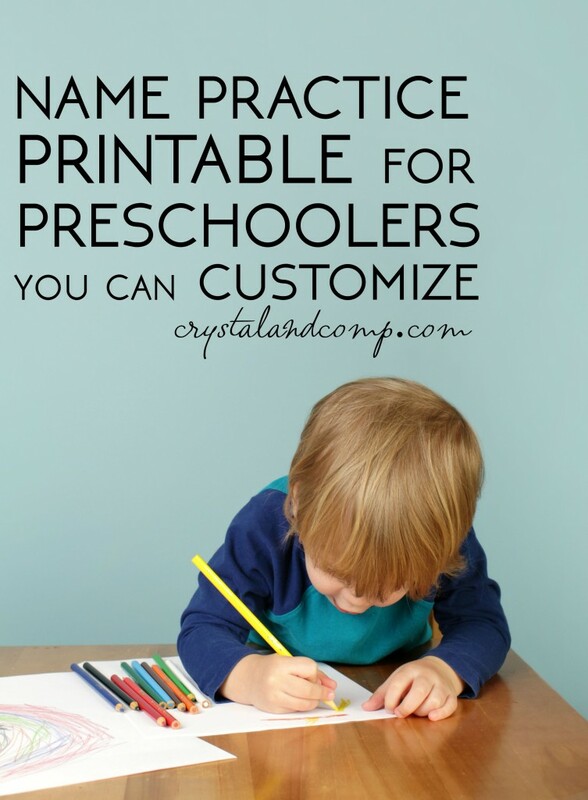 Now, if you’re teaching your kiddo how to write his name, I love this name practice printable for preschoolers you can customize! Have you seen them? This is an EDITABLE PDF. All you do is download it and type in your child’s name, their spelling words, vocabulary words, sentences you want them to practice, you name it!! You can print vertical or horizontal. Go here to download it. Go here to make your own with your kiddos name on it! As a mom of all boys, I believe that there can be a learning curve. We have waited until our youngest three boys were 6 to start Kindergarten with them. If you have a young learner who is struggling (at home or at school) here are five ways to help boys learn. 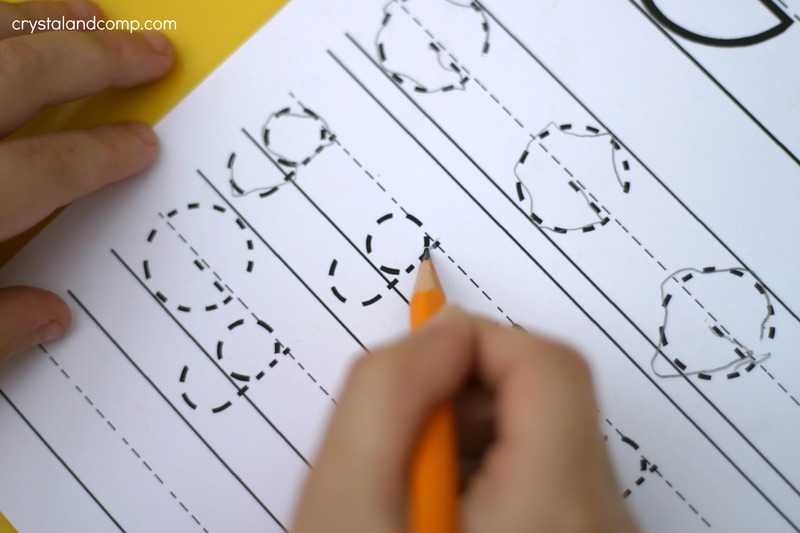 Is Your Preschooler Struggling with Pencil Grip? 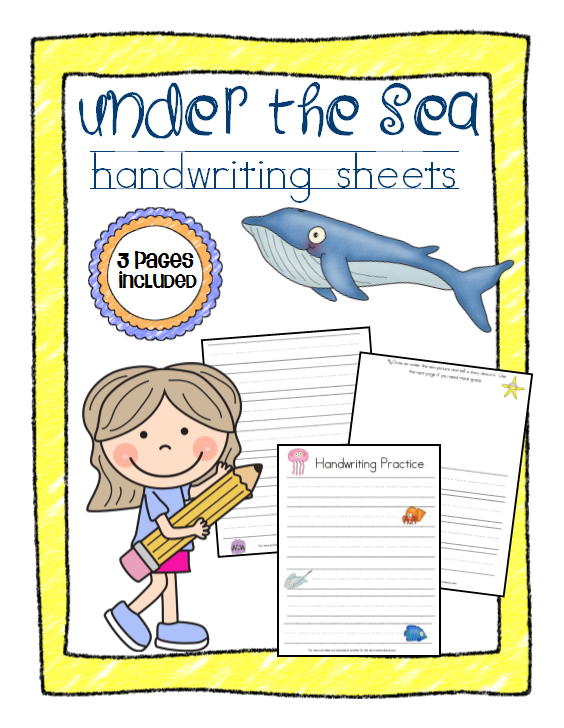 Did you see our under the sea kid color pages that are all about the ocean? They are super fun! I worked in some handwriting practice for kids on those color pages, but wanted to create a few more that can be used specifically for vocabulary words, story telling and more. Let me show you these three pages. I hope you find them useful! This is a three page pack. The first page is perfect for vocabulary words or for name writing. It is such a versatile printable that is good for older kids and younger kids. The next page is a fun one too! 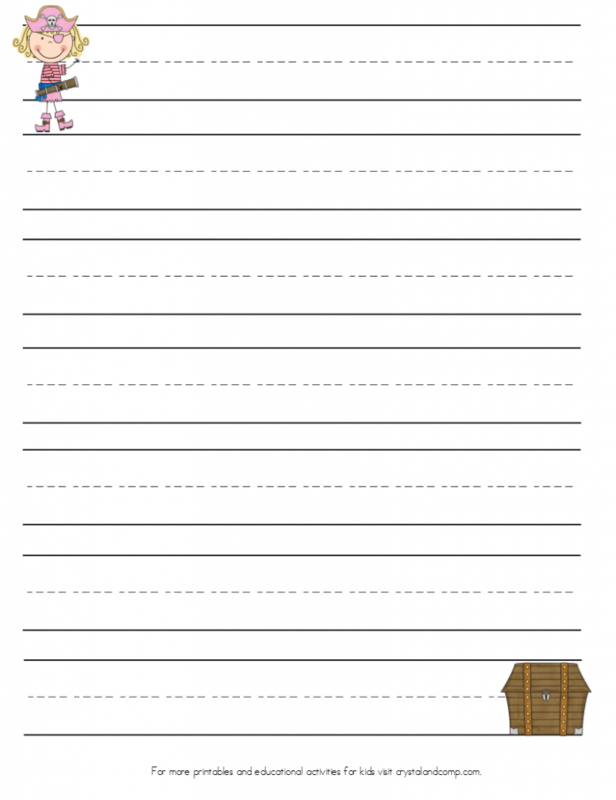 Use this sheet to have the kids draw a picture about something under the sea and then write a story about it. Use this page of full lines to continue your story, do more vocabulary or write a long story. 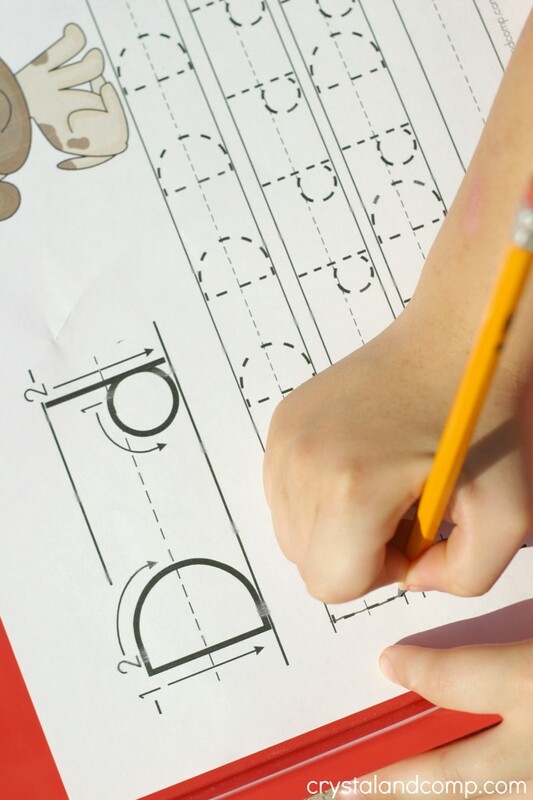 How do you plan to do more handwriting practice for kids? Artwork for this project is from ScrapinDoodles. 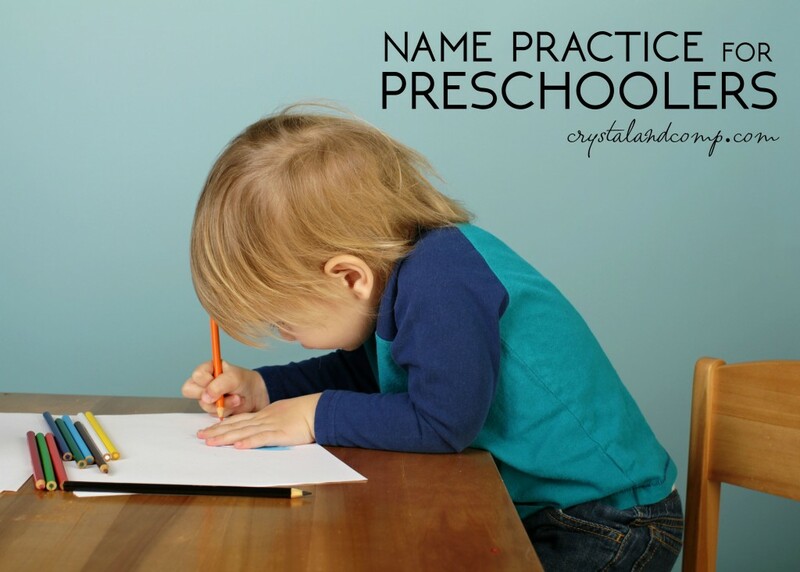 If you are on the hunt for handwriting practice for preschool kids you have found the right place! This week we are focusing on the letter H.
This printable includes tracing practice, encourages preschoolers to practice the sound the letter makes and come up with a list of as many things as they can that start with the letter letter of the week. Let me show you how fun this little printable is! Print out the worksheet and grab your pencil. 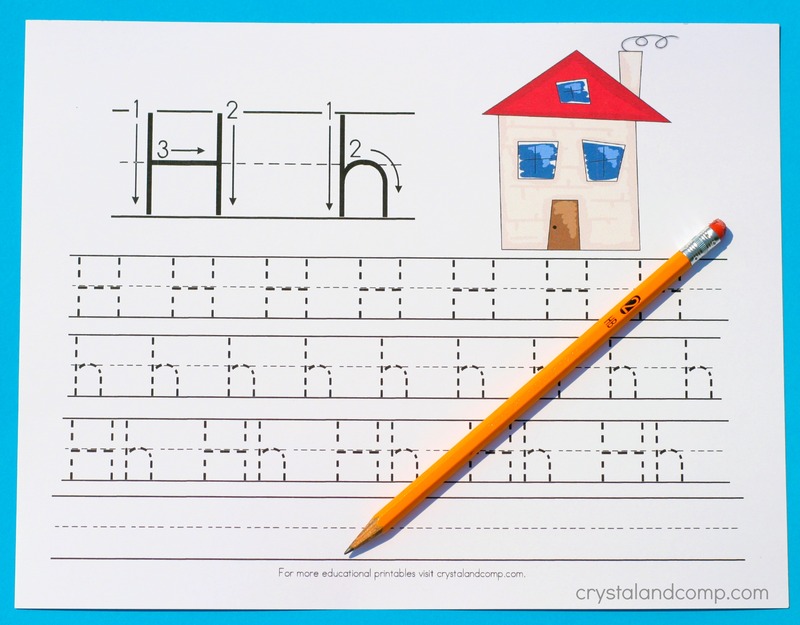 The theme of this printable (house) goes with the theme of the letter if the week craft. 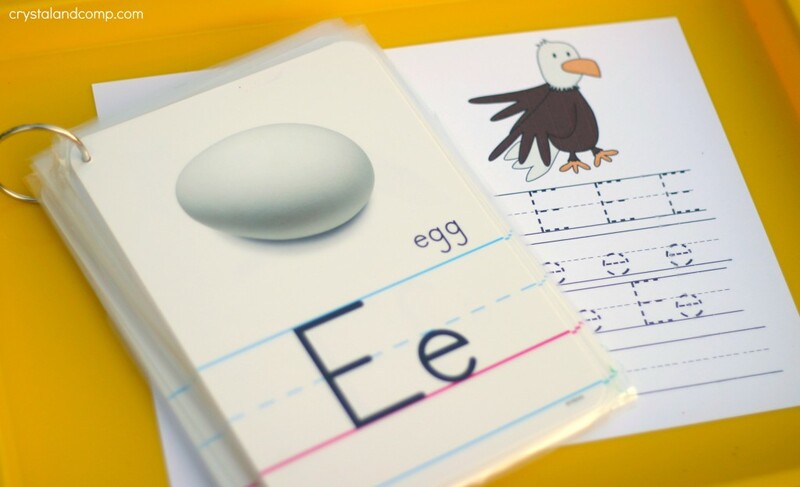 These pair perfectly together as you teach your preschooler their ABC’s. Let’s start by tracing the letters. There is a big H and a little h in the top left corner of the page. 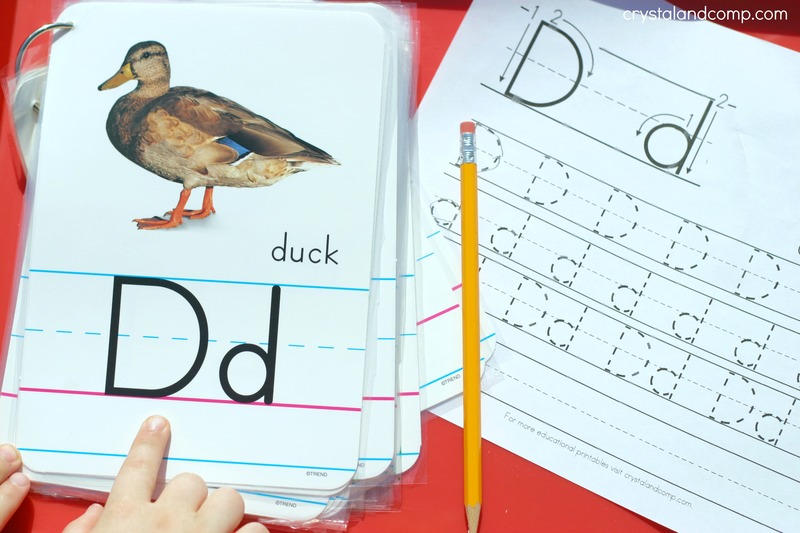 There are arrows that guide your preschooler and show how to correctly write each letter. Have them use their finger to trace each letter following the arrows. Next, grab the alphabet flip book. 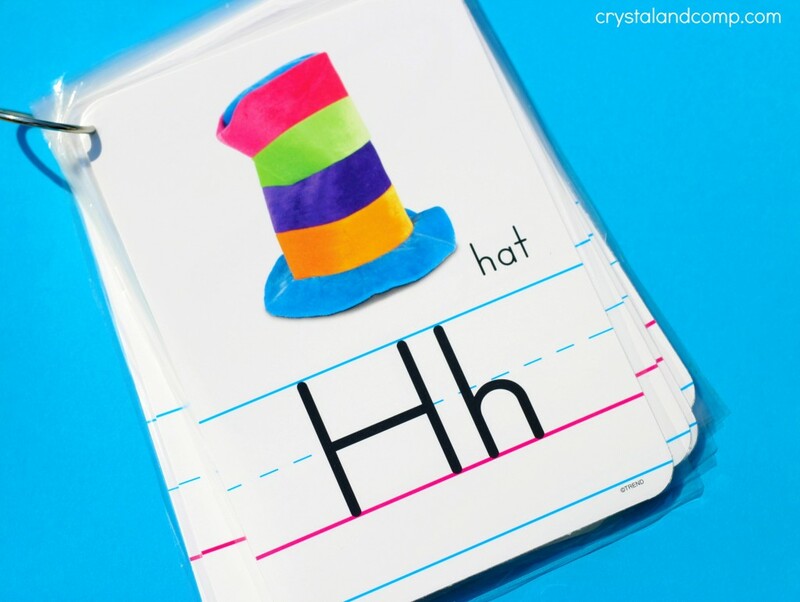 Find the letter H.
See how the h’s look the same on this card as they do on our printable? What are some other things that start with the letter H? Hat, horse, house, harp, hammer, hair, etc. I love to use the My First Picture Dictionary as we make a list of words that start with the letter of the week. This book came in our Sonlight curriculum and we use it often. Now let’s trace all of the H’s. The first row is all big H’s. The second row is all little h’s. Then the third row alternates big H and little h.
The last row is blank for independent practice. Feel free to spread the work out over a few days if you want. Matthew does not like to do all of the tracing in one day. Talk Like a Pirate Day is almost here! It is September 19th! Let me show you exactly how you can use these three pages of printables to make learning fun! The first page is perfect for vocabulary words or spelling lists/test! I like to write vocabulary words we’re learning on our dry erase board. Then the big kids use it for copywork. The next page is perfect for pirate story telling! 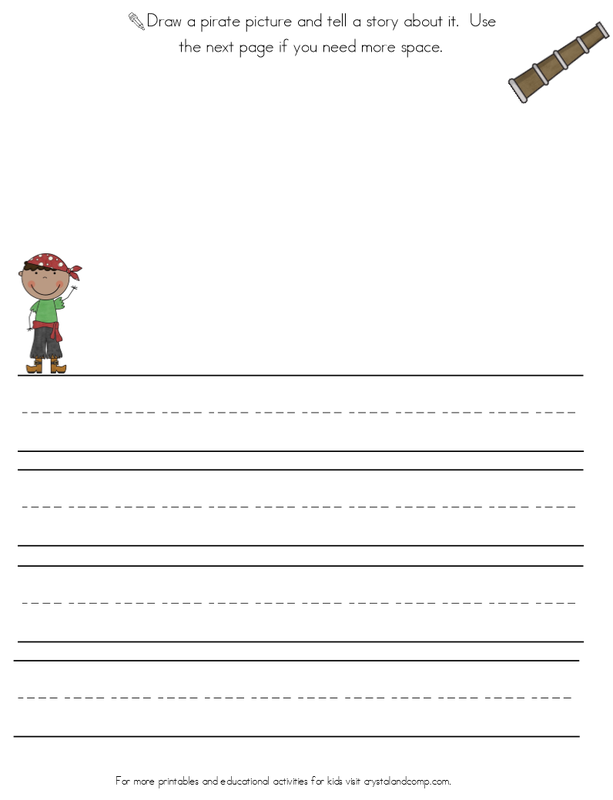 Have your kiddos draw a picture of their favorite pirate adventure and then write a short story that goes with the picture. Here is an additional page you can use to continue your pirate story or to do more handwriting practice! Encourage your kids to use their imagination! Now it’s your turn to share! 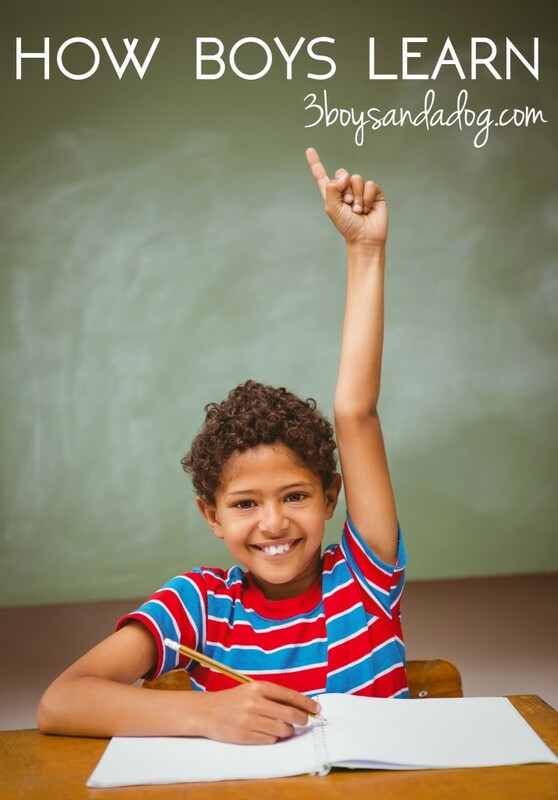 What is your favorite way to encourage handwriting practice with your kiddos? 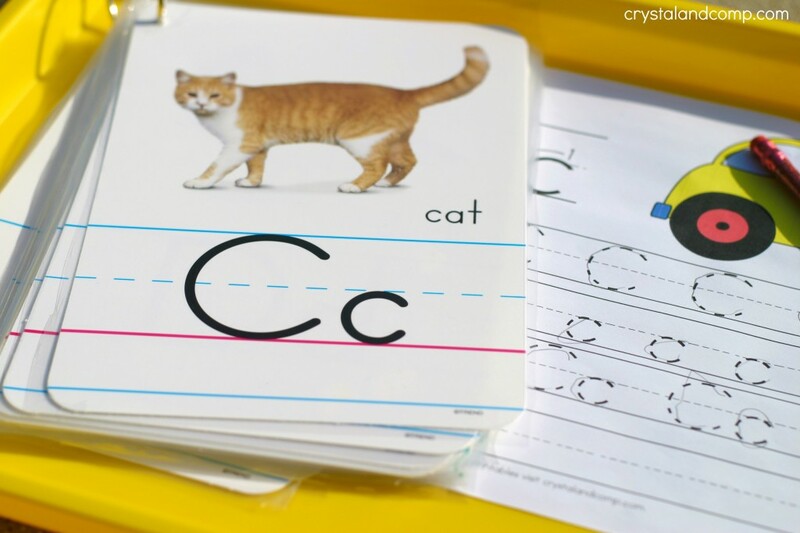 Are you teaching a preschooler or Kindergartner the letter G? Here is an easy worksheet that provides handwriting practice for preschool age kids as you teach the alphabet. Are you looking for more letter G activities for kids? We have tons of them here! Look for a collecction of ideas (with links) at the end of this post. Print out the worksheet and grab a pencil. Find the G in the flip book. Talk about the letter G.
What sound does the letter G make? How many things can you think of that start with the letter G? Have your child trace the big G and little g with his/her finger. There are arrows they can follow when tracing. Now it is time to do the tracing. Have your preschooler trace all of the big G’s. Then they can trace all of the little g’s. Then the third row alternates big G and little g.
You can spread the work out over a few days if you want. Matthew does not like to do all of the tracing in one day. And there you have it. 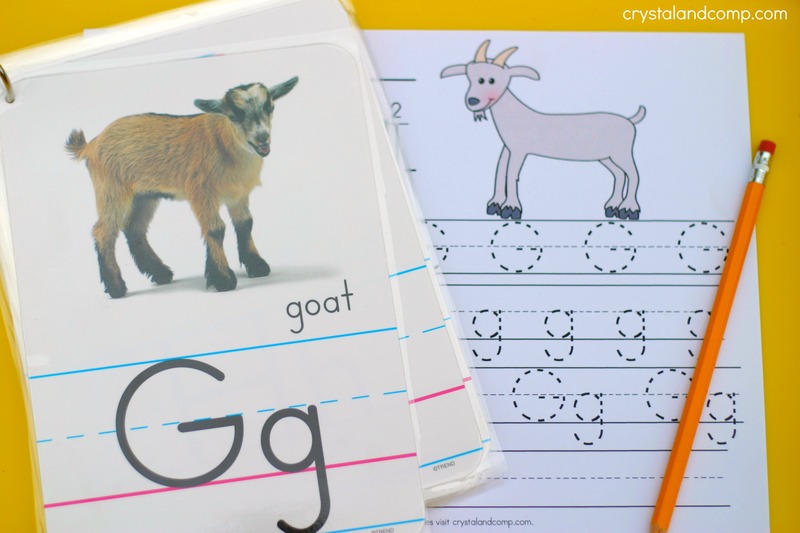 An easy worksheet as you learn the letter G! Looking for more ways to learn at home. 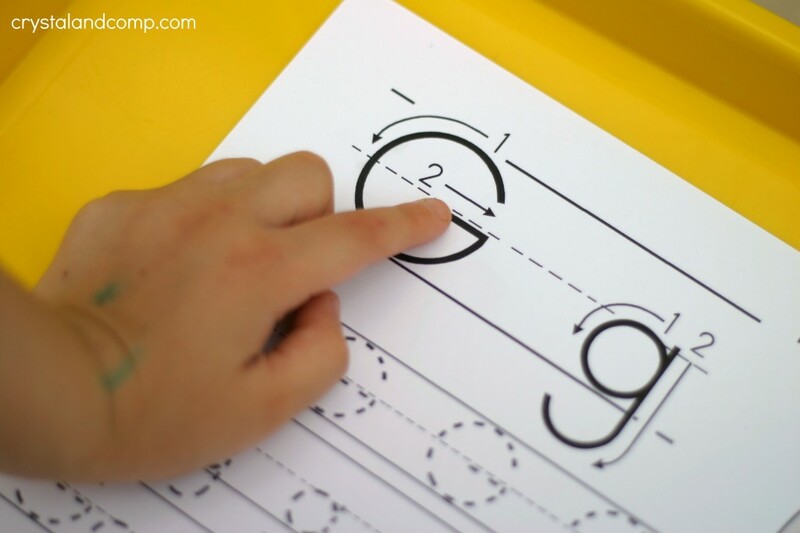 Here is our collection of letter G activities for kids. 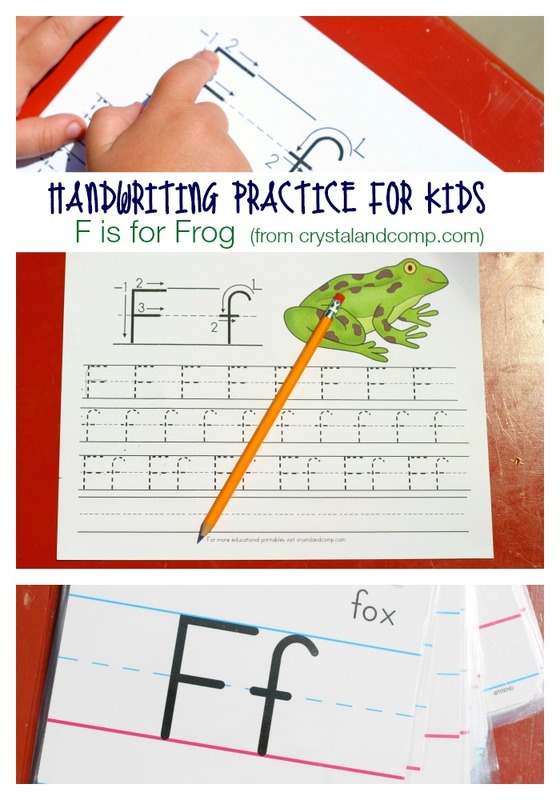 We have made it to the letter F with our handwriting practice for kids printables. This week we will practice writing, tracing, and making the sounds of the letter. This activity is perfect for parents that are looking for ways to teach the alphabet. Are you in the mist of teaching your preschooler his ABC’s? The perfect way to do this is with letter of the week activities for kids! 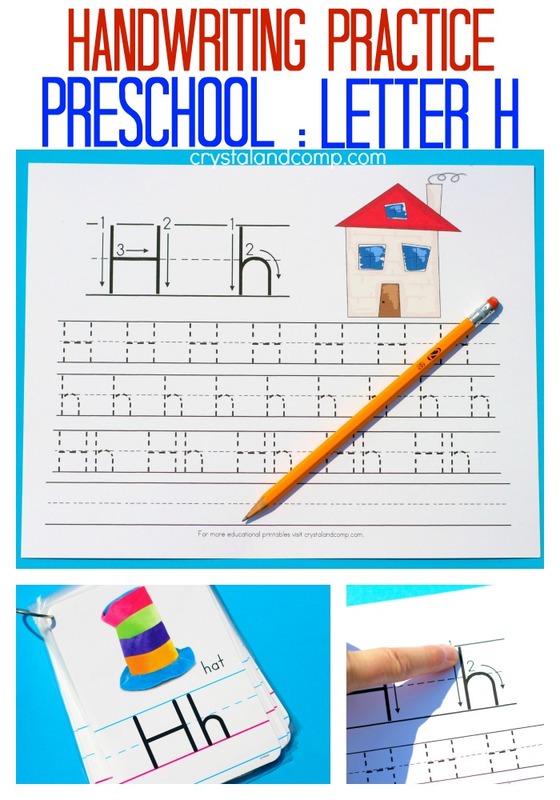 We have a craft for each letter of the alphabet here as well as other activities as you teach your preschooler. Look for links to each of these at the end of this post. 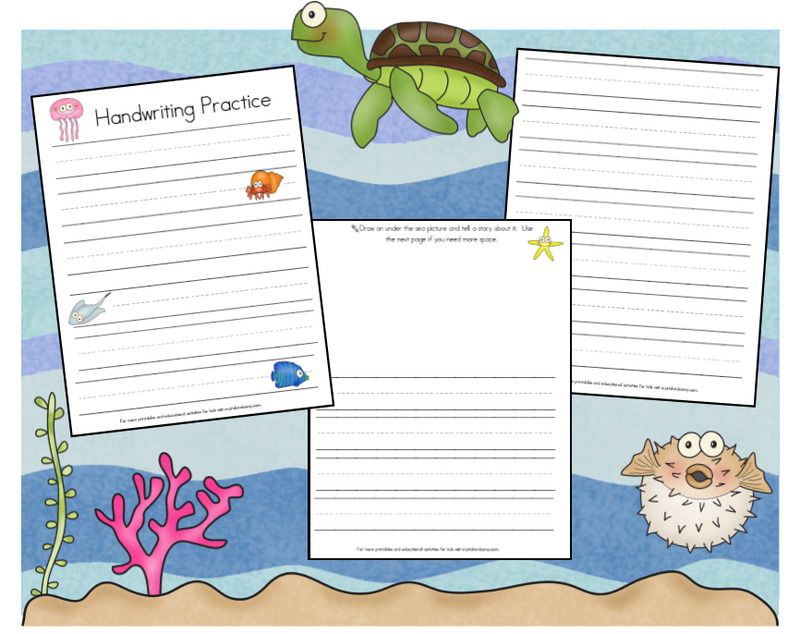 Let’s dive into this weeks handwriting worksheet for kids! 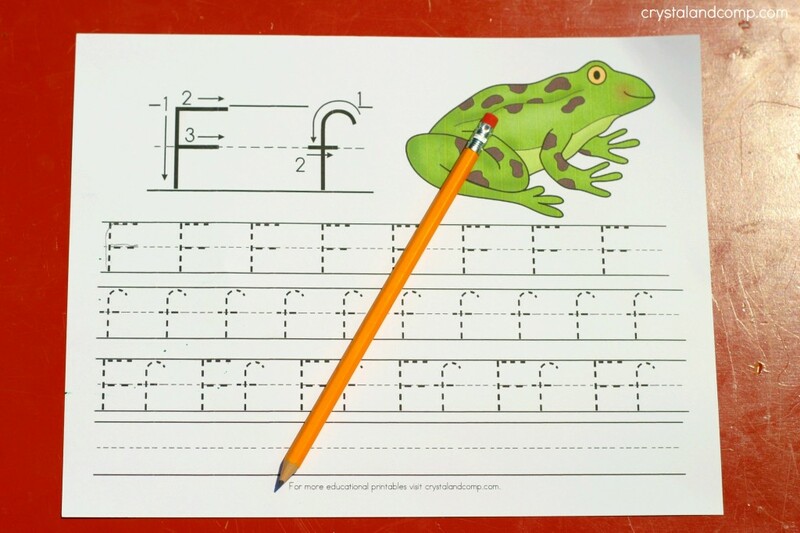 Print out the f is for frog printable by clicking on the link above. Then grab your alphabet flip book and find the letter F.
What things start with the letter F? Fox, frog, fan, farm, feather, fireman, flag, fish, ferry…. what else can you think of that starts with the letter F? One of our favorite books is My First Picture Dictionary. It helps us come up with more ideas of things that start with the letter we are working on each week. 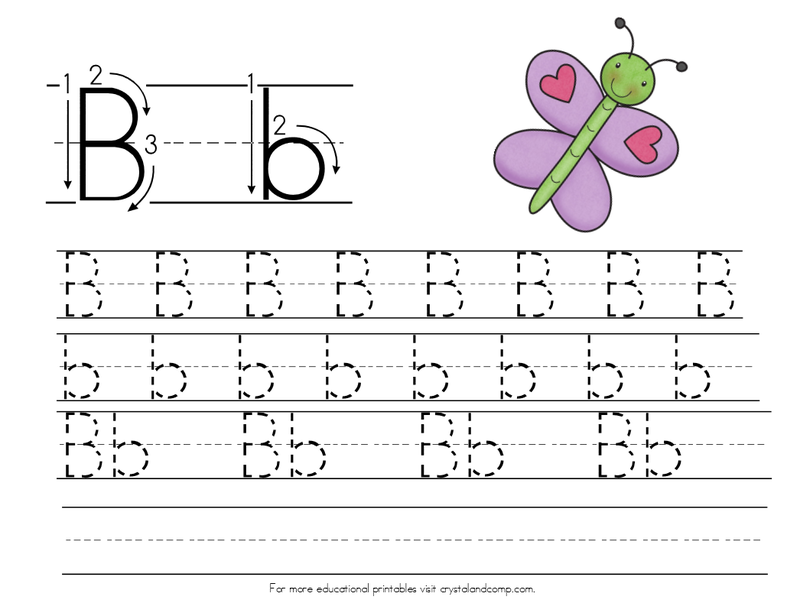 Next, take your printable worksheet and trace the big F and little f on the page. There are arrows to follow for formation. My little nephew Wyatt was over and he traced the letter F with his finger. Next, they need to trace the letter on the page. Trace the first row which is all F’s. Then trace the second row which is all little f’s. The third row alternates with big and little. The last row is for independent practice. How fun is that? Ready for some more letter F activities? Check out all of the links below! Are you in the mist of teaching your preschooler his ABC’s? The perfect way to do this is with letter of the week activities for kids! We have a craft for each letter of the alphabet here! Outside of crafts we have activities that allow us to move one step further. 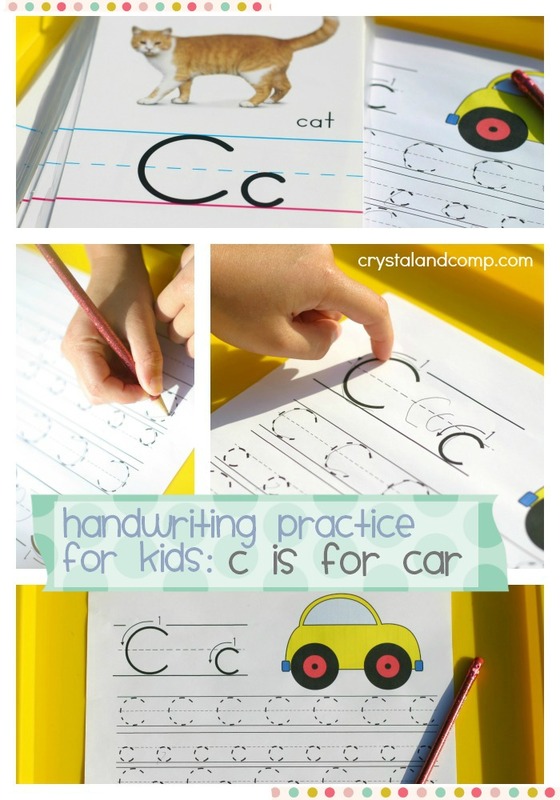 Handwriting practice for kids is a great way to incorporate further learning of the alphabet. This week’s printable is for the letter E.
I make it easy. 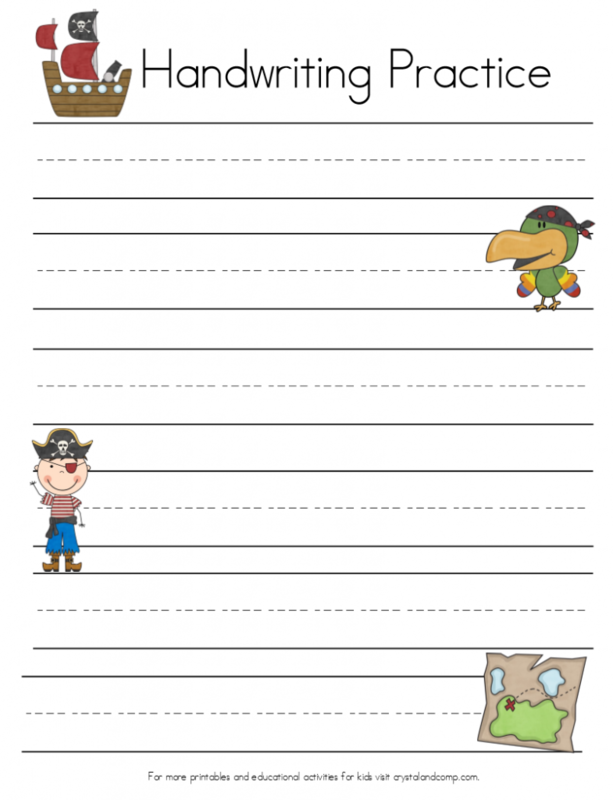 All you have to do is print out this sheet and do it with your preschooler or young learner. Let’s practice making an E for eagle! Don’t forget. 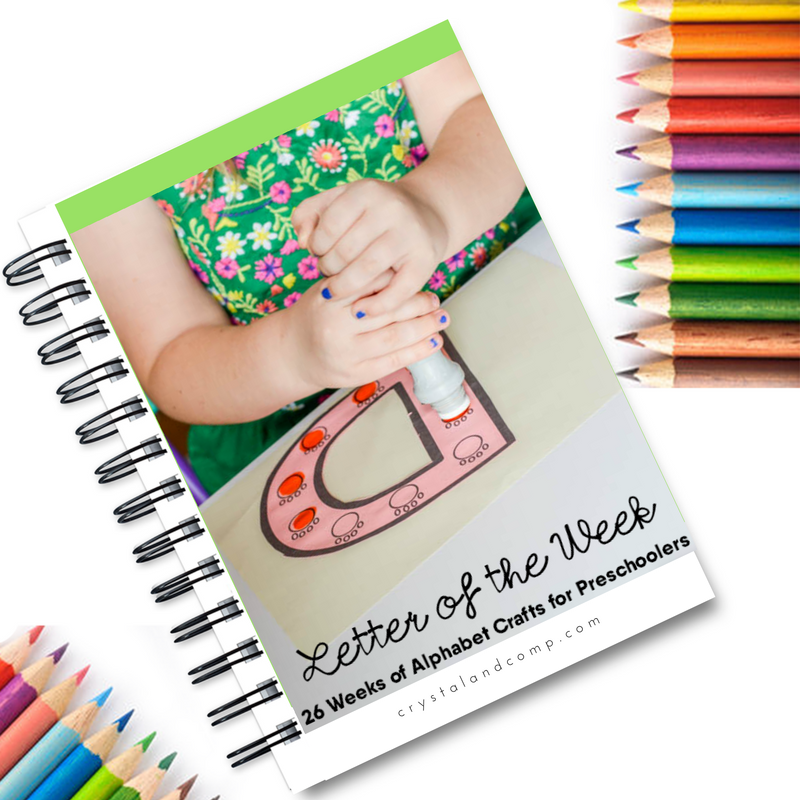 At the end of this post I have a list of links for more letter of the week crafts and activities for preschoolers. 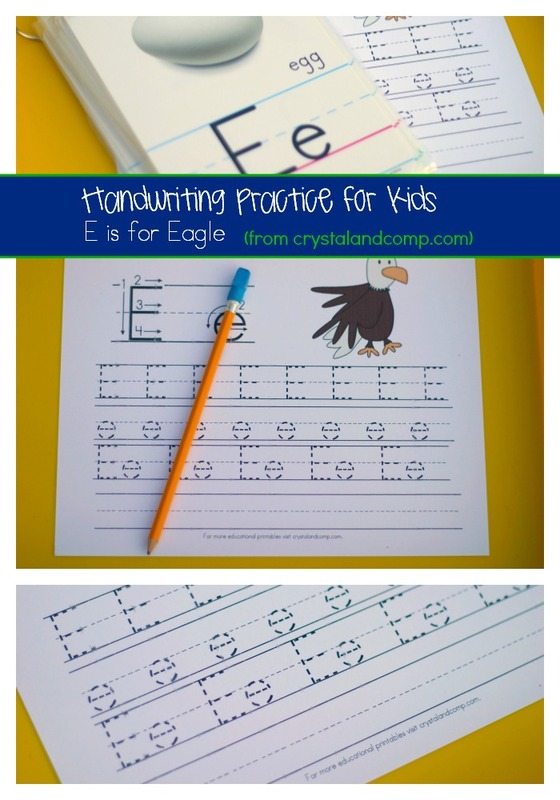 Print out your e is for eagle handwriting printable. See the big E and little e at the top left of the page? It has arrows showing you the formation of the letter. 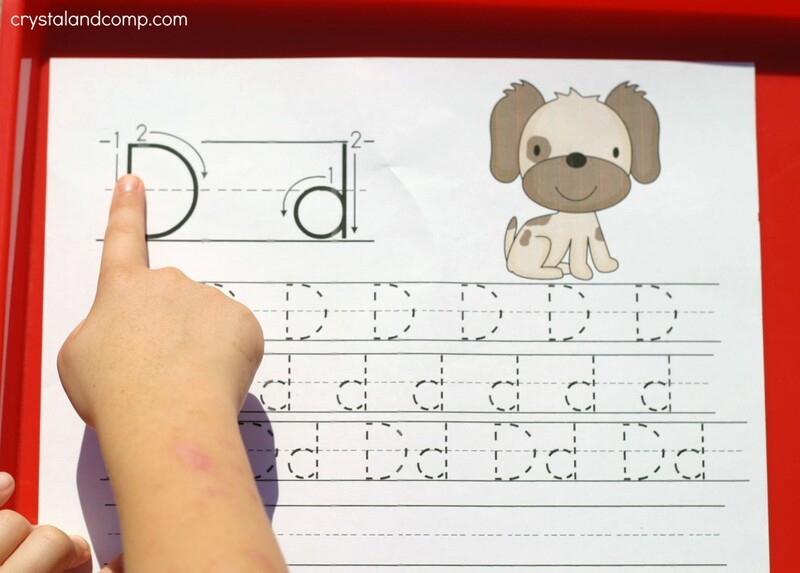 Have your child use their finger to trace the letter. Next, grab your alphabet flip book. Find the letter E.
What sounds does it make. Say it out loud with your preschooler. What are other things that start with the letter E? Egg, elephant, elevator, engine, escalator, Eskimo… how many words can you recite? We love using this book for thinking of more words that start with the letter we are working on: My First Picture Dictionary. The first row is all big E’s. The second row is all little e’s. And there you have it. 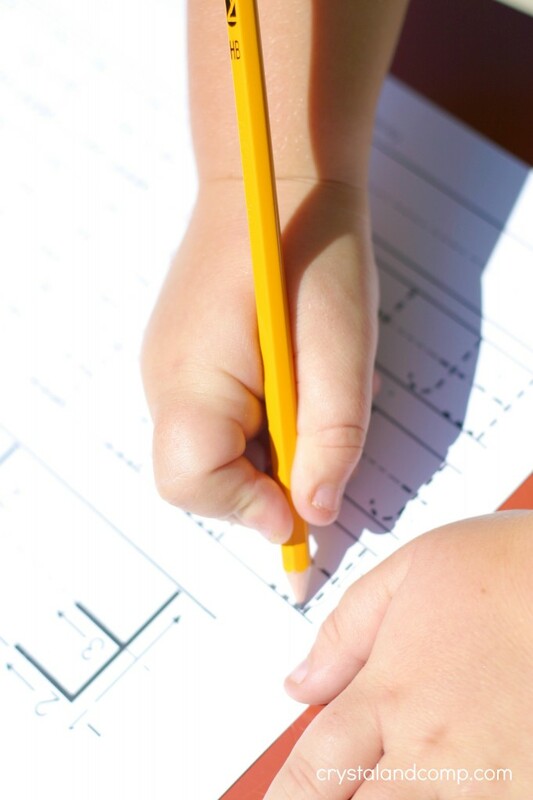 You have just completed handwriting practice for kids with your young learner. 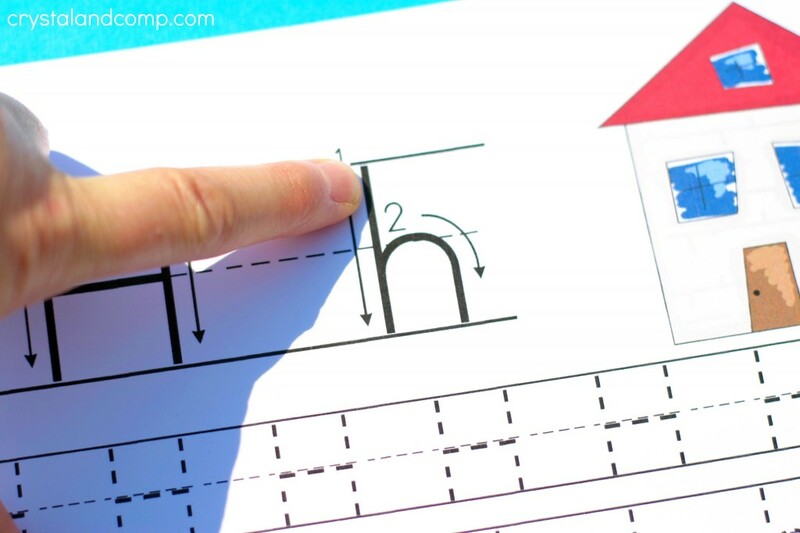 As you are teaching your child the alphabet, it is important to also have them practice wiring and tracing the letter on paper. If you are using my letter of the week crafts to teach your little one a new letter each week. 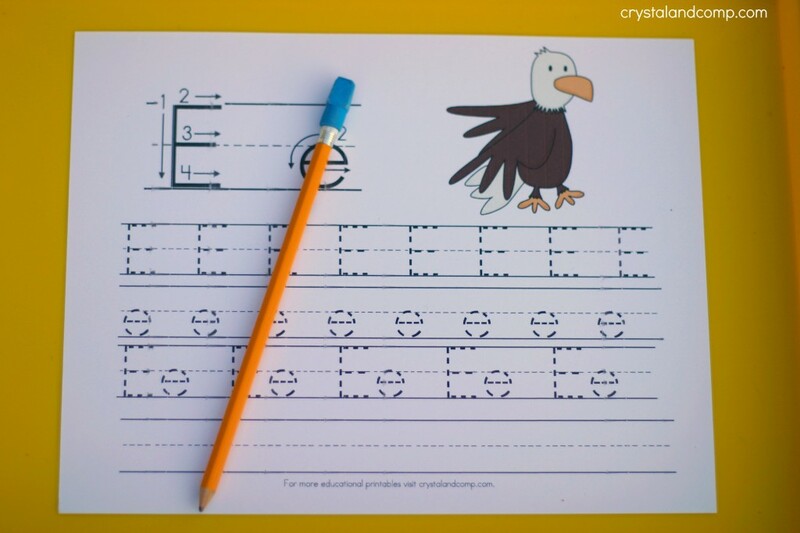 these handwriting practice for kids printables is a great fine motor skill activity to include. I make it easy. 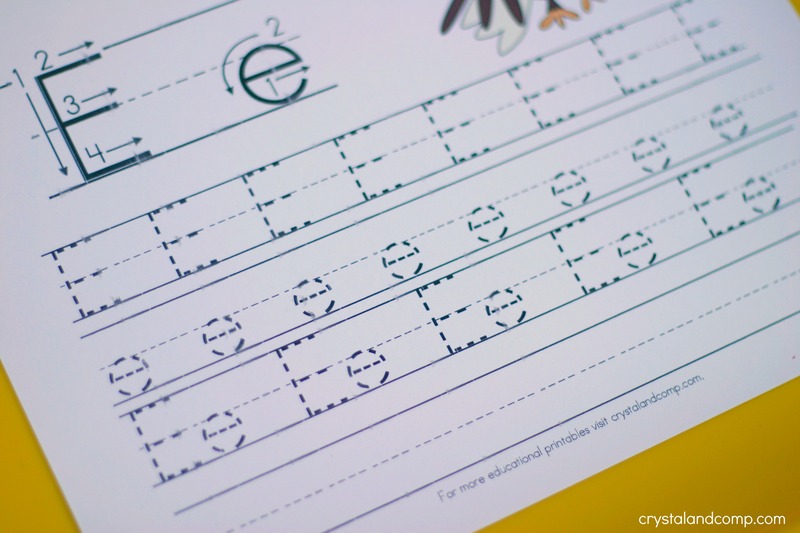 All you have to do is print out this sheet and do it with your preschooler or young learner. At the end of this post I also have a link to the craft, a book list for the library, a Do a Dot printable, a snack and a few more activities if you’re interested. Let me show you how to use this. 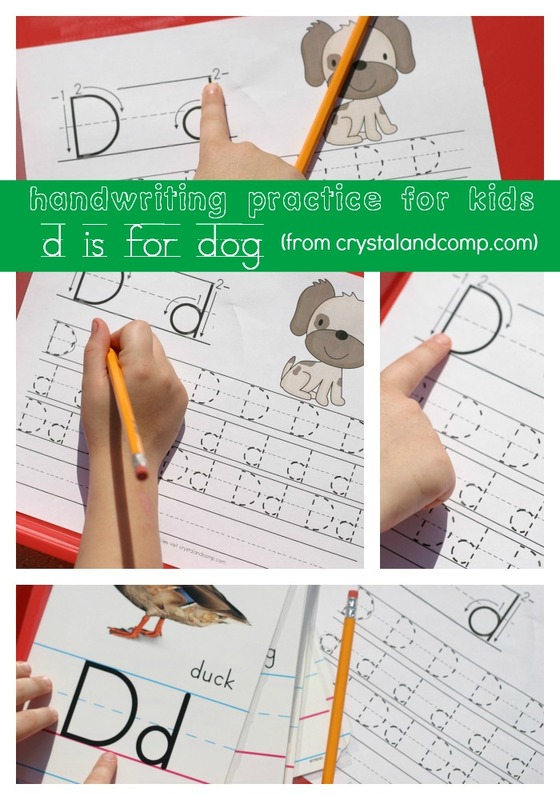 Print out your d is for dog handwriting printable by clicking the link above. First, let’s look at the big D and little d at the top left of the page. Notice the arrows? This demonstrates for your little one how to make the letters. 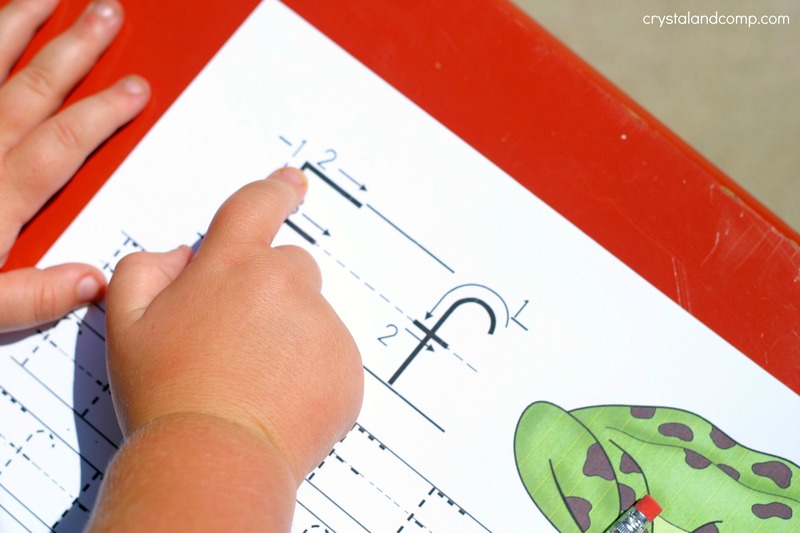 Have your preschooler use his or her finger to trace the arrows in number order. Have them start tracing the letters. The first row is all big D’s. The second row is all little d’s. Grab your alphabet flip book (there is a link below to a tutorial so you can make your own). Let’s say the sound it makes. Let’s trace it with our finger. Let’s name other things that start with this letter like: duck, Dad, dandelion, dinosaur, dictionary, etc. 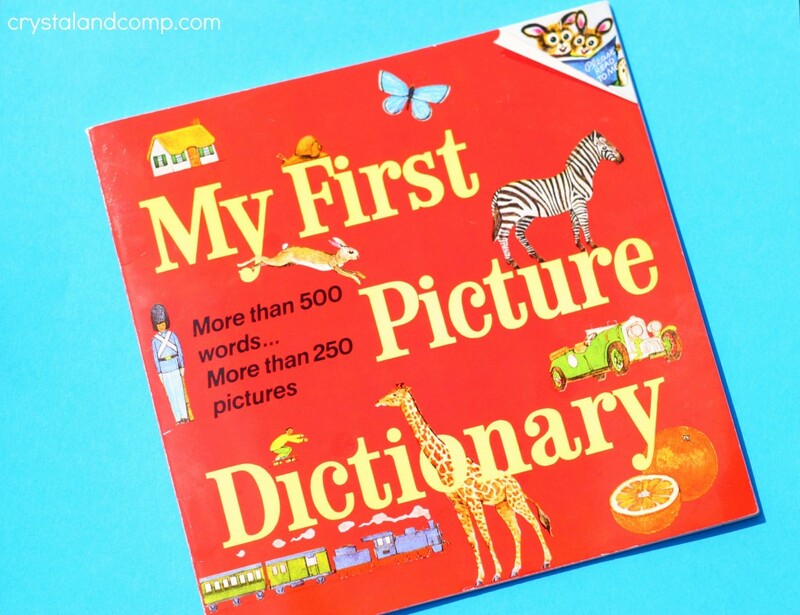 I have used the book My First Picture Dictionary with my preschooler and my twins during Kindergarten and First grade. It is one of our favorites. 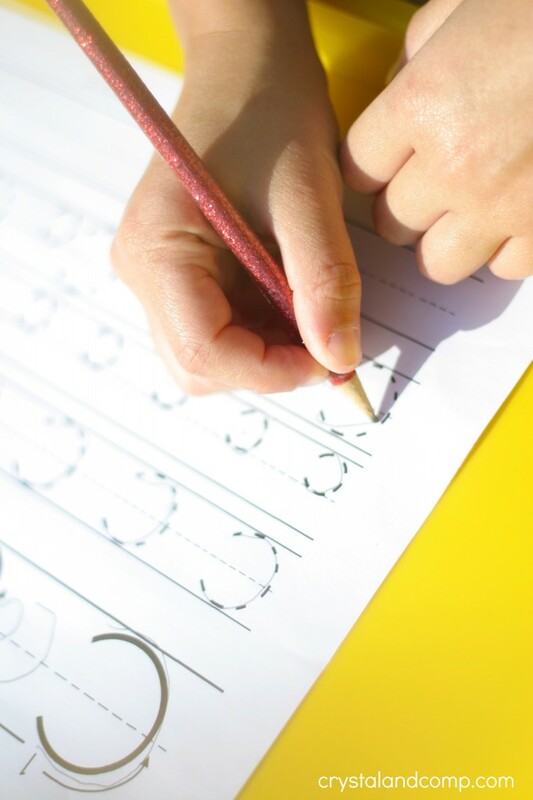 Did you know that handwriting practice for kids helps with many levels of learning? 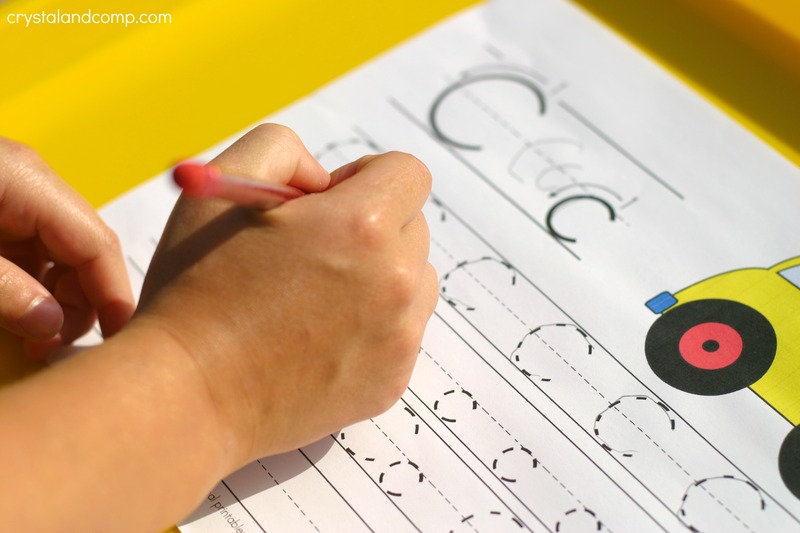 When learning the alphabet and practicing on paper, your preschooler builds their fine motor skills for writing and holding a pencil and it also teaches proper letter formation. As you know, we have an awesome series on this site of letter of the week activities for kids where we do a craft for each letter. We also offer do a dot printable pages for each letter, snack ideas and books list suggestions. Links to all of these activities is included at the end of this post. 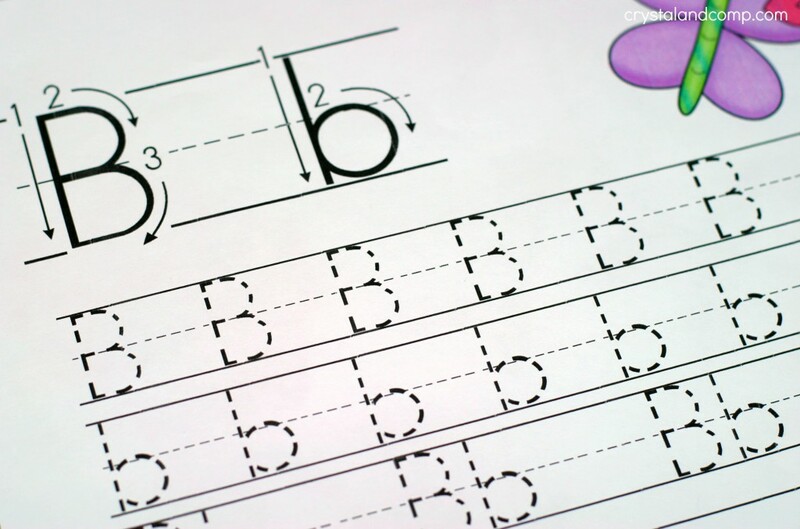 Today let’s focus on practicing writing the letter Cc. Print our your worksheet above. Grab your alphabet flip book. Let’s talk about the letter- how to say it, what it looks like, the sound it makes and things that start with this letter. 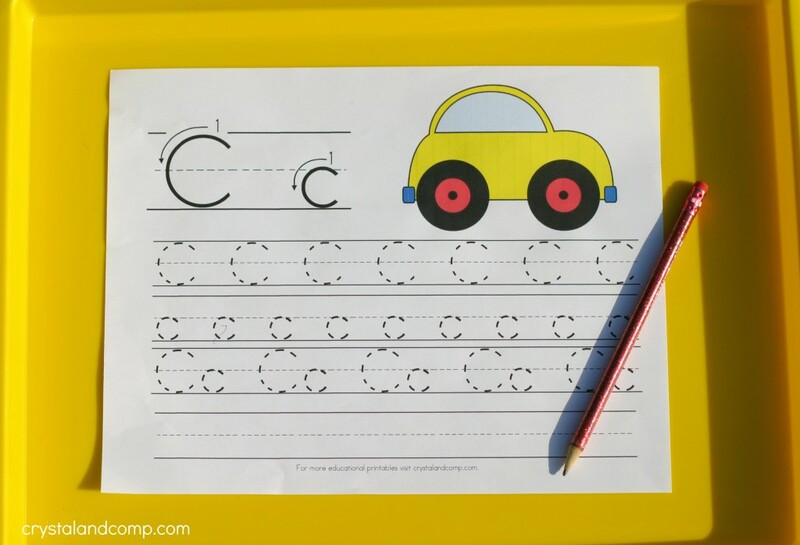 Now grab your printable and have your child use their index finger to trace the big C and little c.
There are steps and arrows that show them how to properly trace the letters. Next they can start tracing the letter with their pencil. There is a row of big C’s. There is a row of little c’s. There is a row of alternating little and big. There is also a blank row where they can work to independently make the letters by themselves. 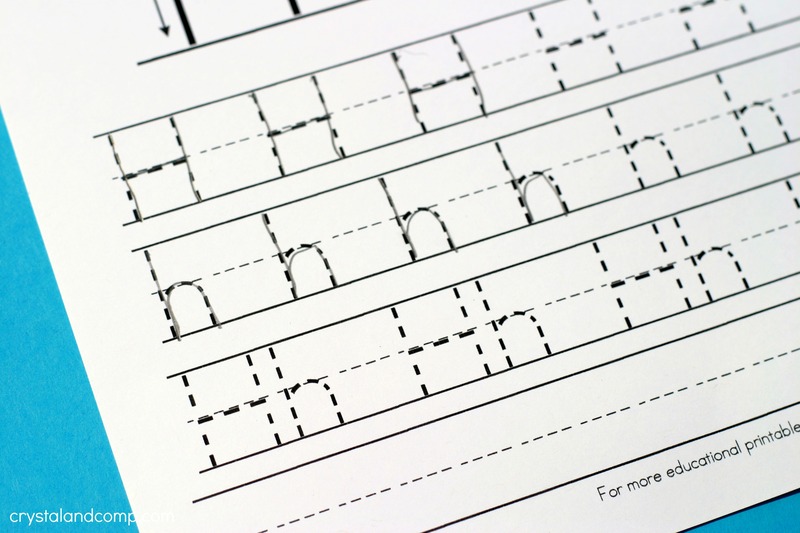 This is how you utilize these worksheets to explore handwriting for kids! 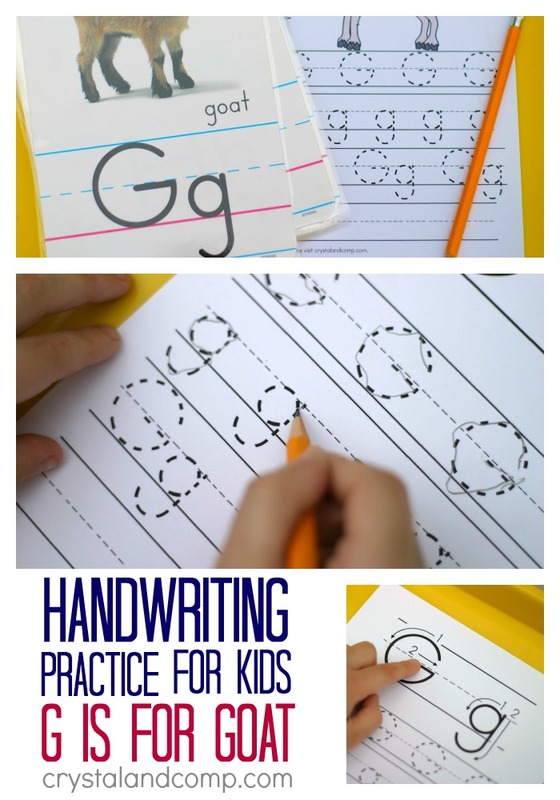 We have a new handwriting practice for kids printable this week! This one focuses on the letter B! 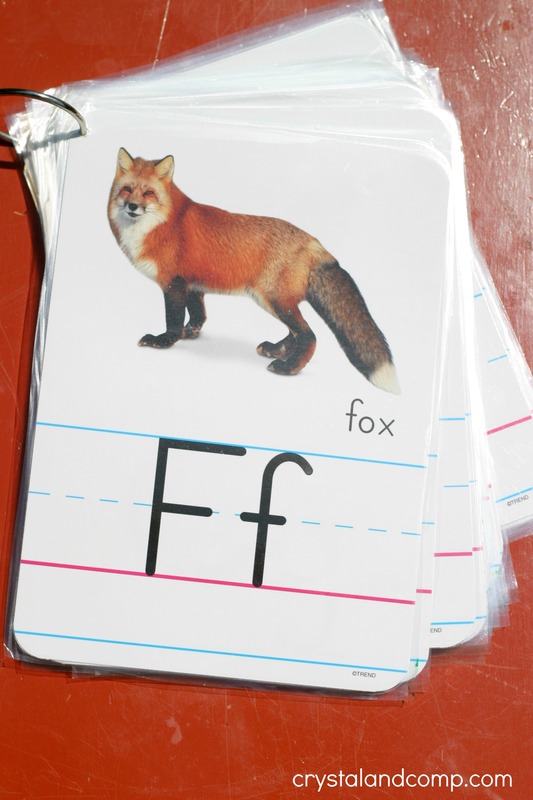 This printable is perfect for preschoolers and allows them many different learning aspects. We will trace with our finger to learn proper letter formation. We will trace with a pencil and write the letters on the paper. We will also work on saying the sound the letter makes. Click on the link above to print out your worksheet. Now we will get started. 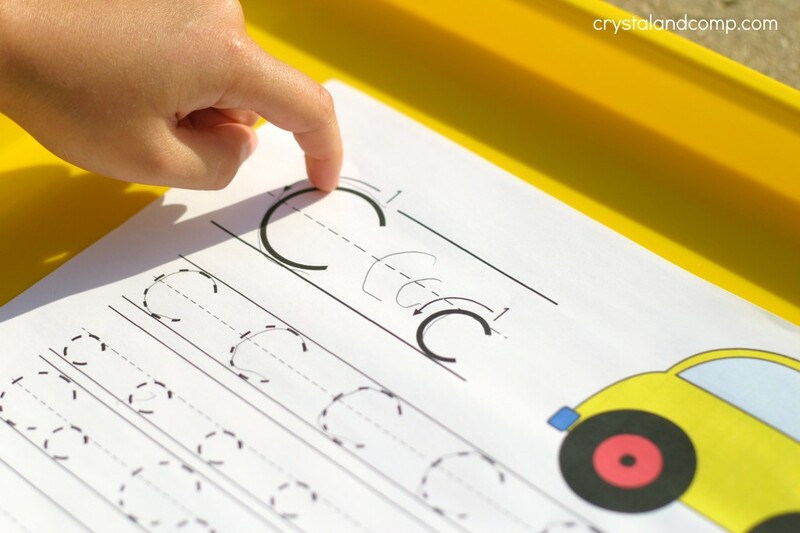 First, the preschoolers can trace the letter with his finger. Follow the number order for proper letter formation. Trace the big B and the little b. Next, grab your alphabet flip book. Discuss and say the sounds this letter makes. 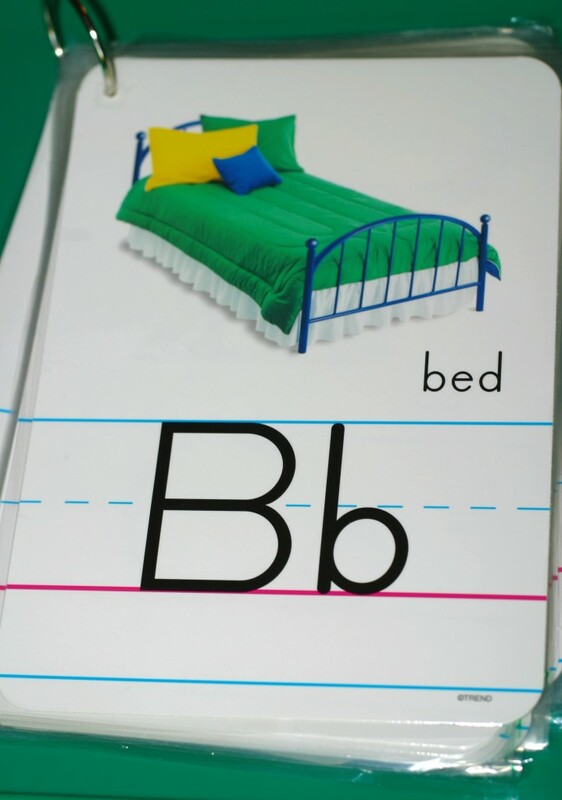 B is for bed. B is also for butterfly. What are some other things that make the Bb sound? Now you can trace all of the big B’s. Next, trace all of the little b’s. Then do a row of big and little. And finally, write the letter independently on the last line. 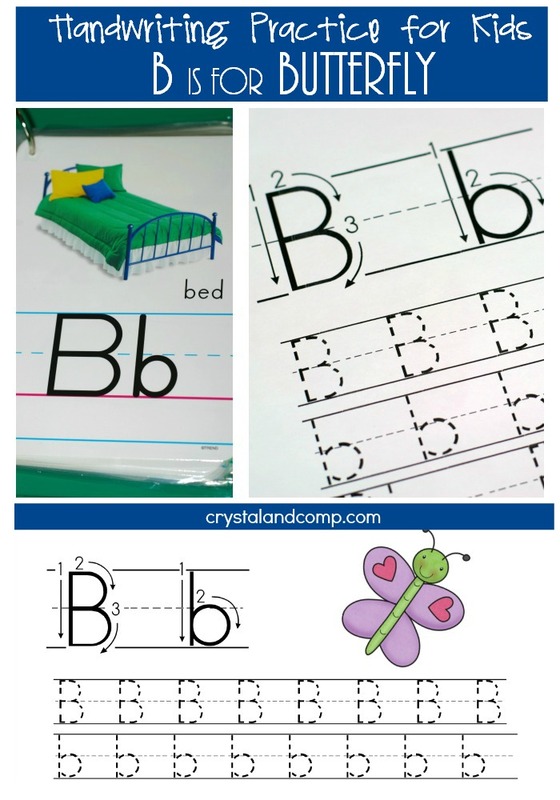 I have many more letter Bb activities for kids! Have a blast while you’re learning this letter with these fun snacks, crafts and printables.